A gathering of those interested in expanding their knowledge of the honey bee and the hive. 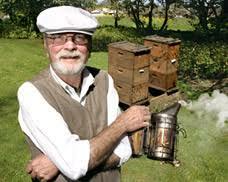 An entire day will be devoted to experiencing some of the Northwests greatest ICONs in the honey bee world. Each will regal you with explicit knowledge designed to enhance your learning and experience. You will be holding frames, examining them for various particulars, and learning the intricacies of beekeeping. Special arrangements have been made with the Best Western PLUS Hood River Inn, (541) 386-892, for those desiring to enjoy the lushness of the Columbia Gorge. Discount rate is based on a two-night stay from $140.79. Group ID is BG BEES. Come prepared with bee protection equipment. Michael Burgett has tales to tell about them all from his 40 year career as a teacher, researcher and extension apiarist at the University of Oregon and far beyond. 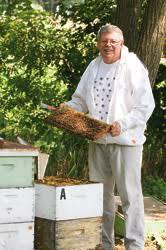 Now, as an emeritus professor, he continues to teach, keep a unique historical apiary at OSU in Eugene and spend the cold months in Thailand at Chaing Mai University. Mike was also Bee Culture’s western columnist for several years in the 90s. 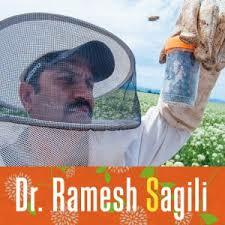 Dr. Ramesh Sagili is an Associate Professor in the Department of Horticulture at Oregon State University. He obtained his PhD in Entomology from Texas A&M University in 2007, specializing in honey bee research. His primary research focus at OSU is honey bee health, nutrition and pollination. He initiated the creation of Oregon Master Beekeeper Program in 2010 and chaired the Governor’s Task Force on Pollinator Health in 2014. He strived to establish a vibrant and dynamic honey bee research and extension program at OSU to cater the needs of beekeepers and producers. He has authored several important research and extension publications. In 2017 he received the Entomological Society of America’s Pacific Branch Research Award and also the Eastern Apicultural Society’s Outstanding Research Award. Dr. Dewey Caron, Emeritus Professor of Entomology & Wildlife Ecology, University of Delaware, & Affiliate Professor, Dept Horticulture, Oregon State University. Dr. Dewey Caron has been working to help educate beekeepers for years starting with his work with Dr. Roger Morse (Cornell) and Eastern Apiculture Society (EAS). He helped to establish the EAS Master Beekeeper Certification program and has worked with other regional beekeeper groups to set up their own. Now that he lives on the West Coast in Portland, Oregon, he is learning the trials and tribulations of the beekeeping in the Pacific Northwest. Carolyn has been a Faculty Research Assistant at the OSU Honey Bee Lab since 2009. 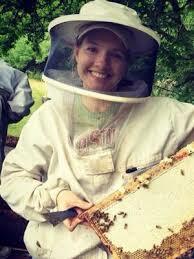 She is a committee member, Journey student, and volunteer mentor for the Oregon Master Beekeeper Program. She is also a mom to Simon and the great, great grand-niece of Amos Ives Root. She tries to keep the familial tradition of beekeeping alive with her son, nephews, and nieces, however it is hard to compete with Pokemon Go. 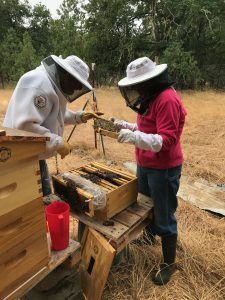 Instead, she works hard with a dedicated committee and over 100 committed, energetic volunteers to create programs, workshops, and events for beekeepers so they start or continue a long legacy in the ever-fascinating field of beekeeping. 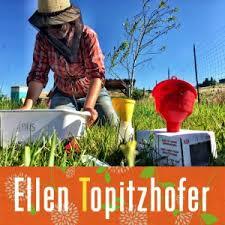 Ellen became interested in honey bees while studying plant genetics and breeding at the University of Minnesota. She then hit the road to study honey bee nutrition as part of her MS at Oregon State University. She fell in love with the Willamette Valley, the final resting ground of our ancestors who traveled the Oregon Trail. Since then, she’s been working with commercial beekeepers all over the Northwest under the Bee Informed Partnership’s Tech Transfer Team. She’s spent her five years with the Tech Team mastering on-the-ground testing, secret-keeping, and applicable research. Ellen has just joined the Oregon State Staff full time. Her hobbies include: keeping her own bees alive, talking about bees, and queen rearing.